A quiet evening with just the six punters, but everyone had brought some trains to run. 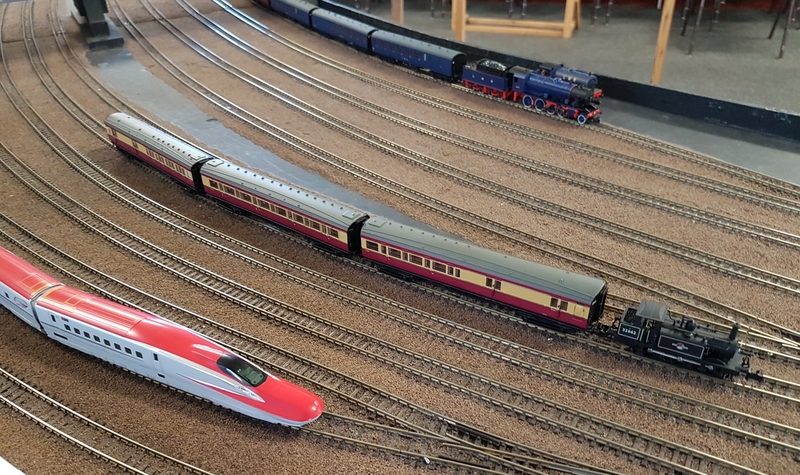 Derek was having a Longmoor Military Railway evening, I had some new Dapol coaches, and Paul, surprisingly, had a number of bullet trains. 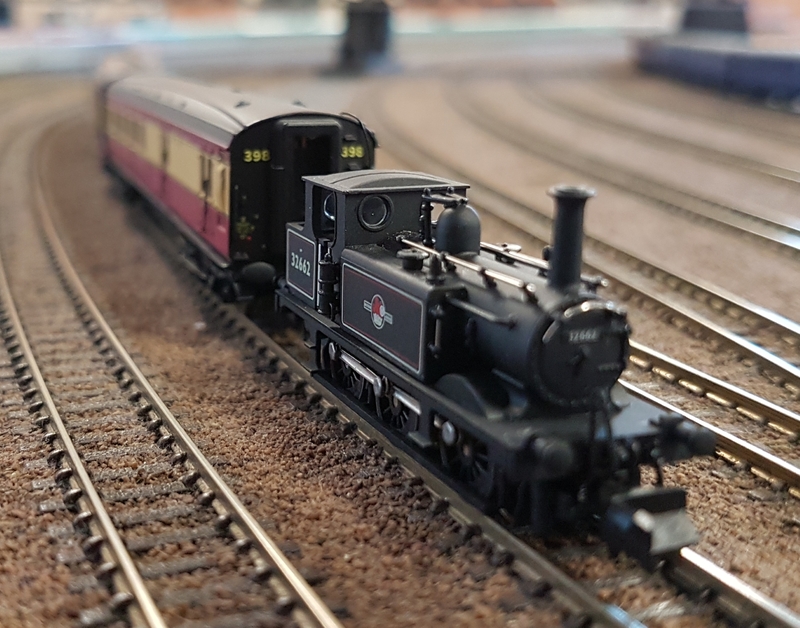 Dereks’ WD took turns with an LMR ‘Austerity’ tank. Some of the bullets on display…. 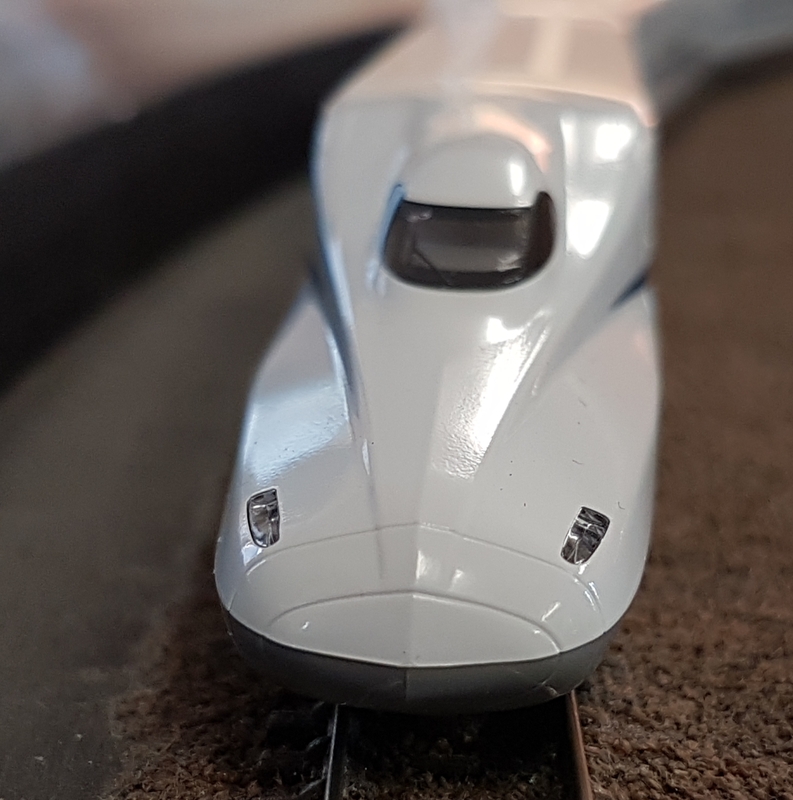 I gave some of the new Dapol Maunsell coaches in BR custard and cream a run. These are even better than the green ones, with a very well done livery. Derek also had a venerable French ‘Nord’ pacific to run…. 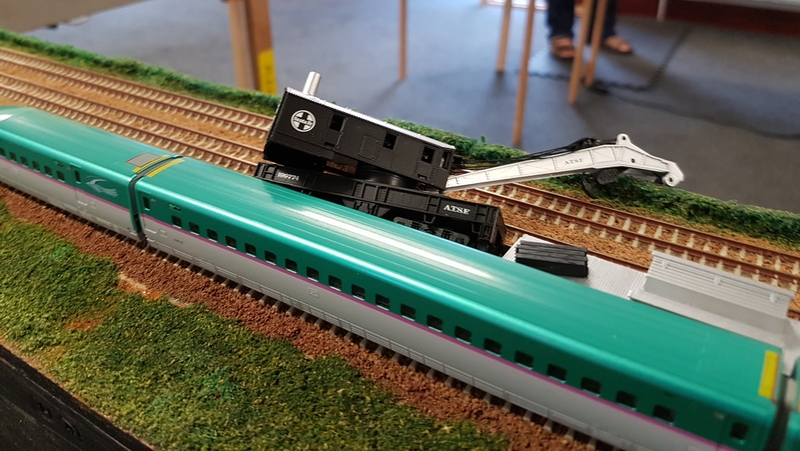 Simon was running his Santa Fe permanent way train…. I thought the breakdown crane was meant to clear up after accidents, not cause them…. Finally, more custard and cream from Peter, this time on the LNER. And a reminder that the ESNG AGM is on Wednesday 18 July. We’ve moved it to the Wednesday so that the Cha(I)rman can get back from holiday. Any volunteers for committee, please drop me a mail….